The Jet Black cocktail is, in fact, not jet black but more of a deep purplish blue. It certainly has a lovely mysterious look to it. 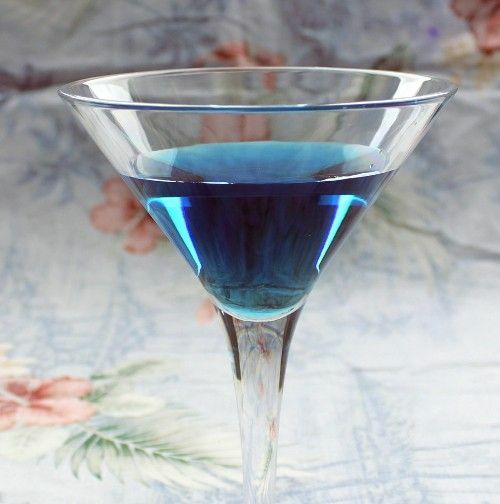 Black Sambuca is a deep blue liqueur, but you use so little of it in this recipe that it gets watered down to a lighter blue, and then the sweet vermouth adds some purple. The dominant notes in this one are anise and citrus with a hint of sweetness. In fact, if you don’t have Black Sambuca on hand, you could substitute anisette or any other anise-flavored liqueur and just forgo the pretty color. Fill a mixing glass halfway with ice cubes and pour in all the ingredients. Stir well and strain into a cocktail glass.